Known as the most popular dog throughout the world, the Labrador Retriever’s name is quite deceiving. The Labrador Retriever, or Lab as many like to call him, did not come from Labrador as his name would suggest but, rather, is a breed that originated in Newfoundland. The resulting cross of the gentle giant known as the Newfoundland, with smaller water dogs, the first Labs were known as the St. John’s Water Dogs and they quickly gained popularity as keen and loyal hunting dogs. Not only did they have the keen senses like a pointer, making them capable of flushing game from the brush, but they were also skilled at swimming and retrieving game that had been shot. Like many old breeds, the Labrador Retriever suffered his own struggle and strife – the breed died out in its own country, following a heavy taxation of dogs and an English quarantine law which prevented new dogs from being imported into England. The few remaining Labradors were then interbred with a variety of other retrievers, but the strong qualities of the breed survived the infusion of new blood and fanciers of the Labrador Retriever developed an anti-interbreeding law to prevent the bloodline from being thinned further. This led to a standard for the breed and, eventually, they would come to be known and recognized by the English Kennel Club in 1903. By 1917, the first Labrador Retrievers were registered with the AKC and have continued to gain popularity ever since – today, they remain popular hunting dogs, top quality pets, and are one of the main breeds that are chosen for the purposes of detection, guide, and rescue work. 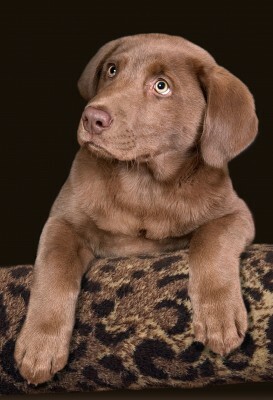 A gorgeous Chocolate Lab puppy. While not as “flashy” as some of the other breeds, the Labrador Retriever has earned his rightful place in the hearts of many. 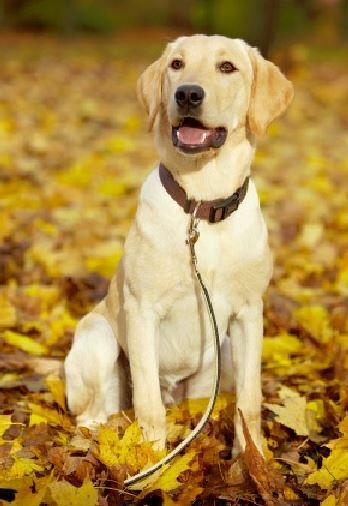 Few can resist the pretty cream coloration of the yellow lab, the deep and dark shades of a black lab, or the rich hues of a chocolate Labrador Retriever. With kind dark eyes and a loyal expression, even adults of this breed seem very sweet and huggable. And a Lab puppy? Many will tell you that there is nothing cuter! Strongly built and sturdy, the Labrador Retriever females stand between 21.5 and 23.5 inches and the males at 22.5 to 24.5 inches, with more than a half inch over or under these heights being a disqualification according to the breed standard. Labrador Retrievers can be found in three colors – Black, Chocolate and Yellow. While a small white spot is allowed on the chest, it’s desirable for the Labs to be solid in color. Shading is permissible, though brindle or tan markings are disqualifications. It’s the temperament that has endeared the Labrador Retriever to so many hearts throughout the world – kind, loving, and exceedingly gentle, the Lab is not only a faithful and dedicated companion to hunters in the field, but also a very noble and affectionate family pet. Rarely are Labradors ill-tempered. 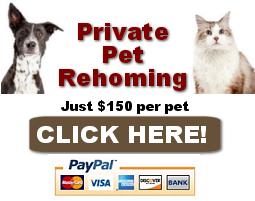 Most are very happy and outgoing, providing excellent companionship for the single dog owner or an entire family. 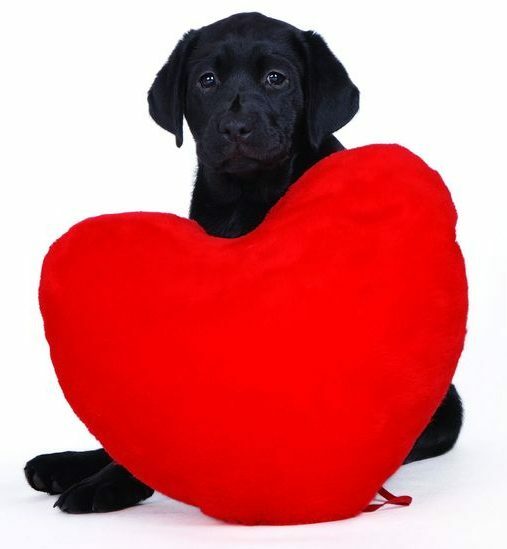 Whether you choose a gamboling Labrador puppy or an adult Labrador Retriever, you’re bound to find yourself getting lost in the patient and kind brown eyes and talking to them as if they would answer you back at any moment. Rarely are Labs found to be bad-tempered or unwilling. While puppies can sometimes seem a bit on the absent-minded side, positive reinforcement will help encourage your Lab puppy to become a willing and adept pupil. Labrador Retrievers tend to be dogs that mellow with age. Puppies and juvenile Labs can be very rambunctious and outgoing, commonly resorting to high energy activities such as jumping up, digging and racing about to keep themselves amused. More mature Labs, however, can tend to be lazy and can easily become obese if allowed a sedentary lifestyle. To keep your Labrador Retriever active and fit, it’s recommended that he be taken on at least a couple daily walks each day. Ideally, Labrador Retrievers enjoy a large yard where they can run and play, and they commonly enjoy games like fetch and Frisbee. With a medium to short-length coat, the Labrador Retriever requires a weekly or bi-weekly brushing in order to remove any dead hairs or dander from his skin. While a common shedder, feeding a high-quality food and performing these weekly brushings will help to keep shedding to a minimum. A monthly bath will help to add a healthy gleam to your Lab’s coat without removing all the essential oils from his skin. Regular checks of your Lab’s ears should be made, ensuring there is no buildup of excess wax, foul-smelling discharge, or redness present. Care should be made when cleaning the ears never to put anything down into the ear canal. A soft Q-tip may be used to clean dirt from the outer parts of the ear but care should be taken as many dogs dislike this tickling sensation. The Labrador Retriever is a very intelligent dog that is eager to please. Very open-minded, they love to learn and approach each new opportunity with a quick and willing desire. Obedience classes are an excellent choice, not only for your young dog to learn, but also for you to learn to get along with your dog and how to properly handle him. Labs are very smart and so care should be taken to curb any bad habits in a gentle but firm tone – chances are, he will be happy to stop, just as soon as he sees this displeases you. Like any breed of dog, the Labrador Retriever is subject to a variety of health concerns. 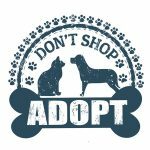 Your best bet is, when deciding to choose a new Lab puppy, check around with several breeders and ask about the various health issues that can affect these beautiful dogs. The Labrador Retriever is a wonderful dog for the right family. Careful consideration must be made, however, prior to buying. While most Labs are excellent with small children, parents should know that a small child should constantly be supervised with any animal, not only for the safety of the child, but also for that of the pet. Additionally, one should keep in mind that the Labrador Retriever can sometimes be a high maintenance pet, with all the exercise. If these things are not a problem for you, then perhaps you may be the right family for a bundle of Labrador Retriever joy.